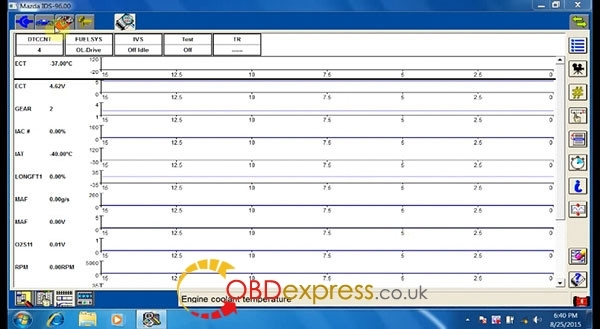 VCM II Diagnostic Tool for Ford with WIFI card can support communicate with your computer by WIFI. Ford VCM II support diagnose and programmer for Ford till 2014 year, it is most powerful professional scan tool for Ford till now. Attention: Please set up software installation date before 2015.9. If your software is older than V96 and you want to use V96 software, you need to send the main unit back to us to update to the latest version. Then can use this V96 software. 4. The VCM II will be required for all new 2013 Ford vehicles and is backwards compatible with most 16 pin Fords. If your PC has 2G RAM or more, then can use this one. For VMware, once you setup PC software installation time before 2015.9, then it will not be changed. Thus, no need you change PC time or frozen software. First install software from V86 to V96, then install V97. After done, then test this software with your car. Another advantage for this installation is, because this software no need frozen, when new software release in the future, you can go on to install the new software, just like this v96 finish installation and install V97. If you do not want to use VMware installation way, you can use this way to install. Still change PC installation time before 2015.9, then install V86 first. Then go on to install the next version. When you install the next software, usually it has 3 days, such as V96, when you install V96 ready, test it with your car, if it can work normally, go on to install V97 within 3 days. After done, frozen the software. Another disvantage for this is, because software is frozen, for next new version, maybe it cannot go on to install. Such as if you frozen V96 software, then cannot go on to install V97 VCM II software on the same PC. Then it will be ok .
you only need to SETUP your VCMII First. The version of MAZDA IDS you install will install all the files you need . Replace all files. You need to shut down mazda vcm service in order to kill vci ident from running in task manager. Then you can overwrite the files. 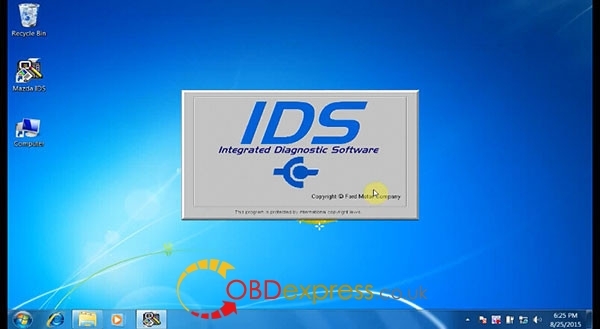 Q: IDS soft will work on windows 8.1? Q: Can we have both softwares (ford-mazda) in one laptop for same vcm 2? Q: All files from C:\Program\Bosh\VTX-VCI\VCI Software from Ford-VCM-Ⅱ) into Mazda? 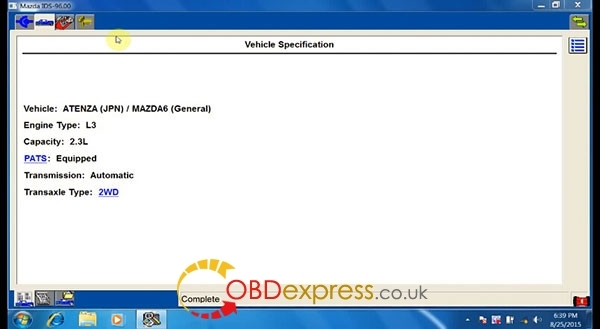 A: It is working if you copy that files from Ford manager and replace the files from Mazda manager.